After a late night work at Edsa Shrangri-la, I was famished. The presentation served carb dishes – pastries, pansit bihon, breads and other items – all of which are against my current South Beach Diet. As we passed by J Abad on the way home, we noticed a fairly new resto and decided to give it a try. We were a bit hesitant at first as we were the only customer at that time. It was 930 though so maybe they don’t have the late night crowds. Chow Fun puts a spin to Chinese food. Targeted at a much younger demographic, the menu is kept simple yet interesting with a lot of items to look forward to in our next visit. 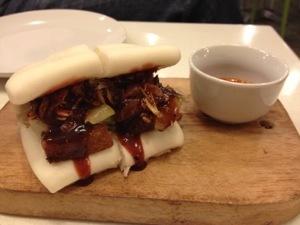 For starters, hubby decided to order this Lechon Macau Bun (Php140+). Based on his reaction and comments, this one is definitely a must try. The pickled vegetables and the peppered hoisin sauce smoothly balances out the fats on the pork belly. Too bad I’m on SBDiet. 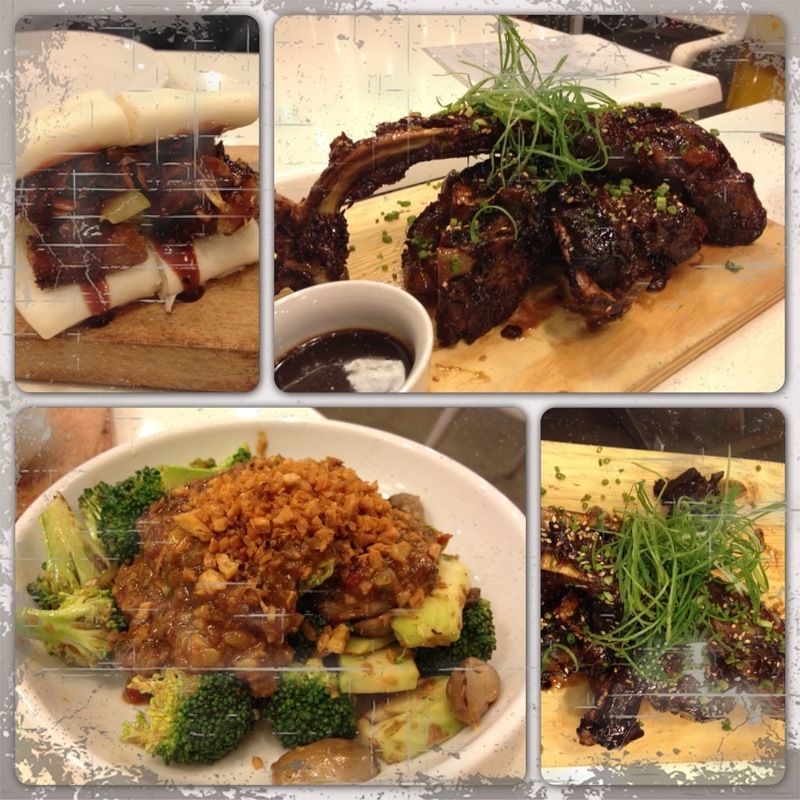 For entrees, I ordered their Spareribs (Php345+) and garlic broccoli and mushrooms with dried scallops (Php175+). The spareribs was good for 2-3 people. It wasn’t your very juicy type but it was alright. I love the vegetable dish I ordered though. Love the amount of garlic and the crispness of the broccolis. The ambiance was simple yet well thought of. 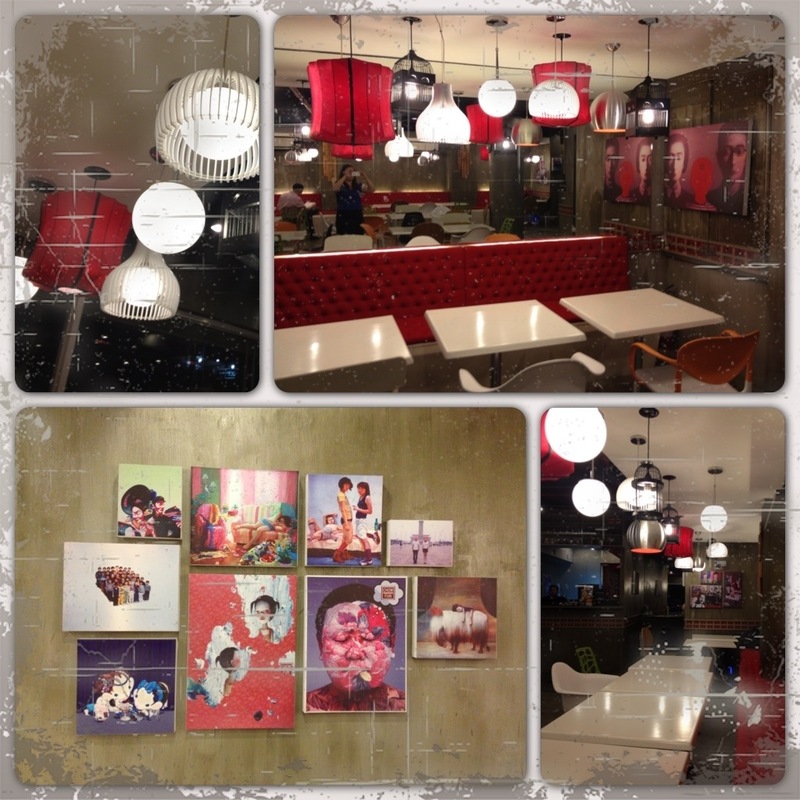 I love the lights and the red couches along with the hanged pictures on the cement walls.